The new album, Back to My Green is Here!! Available thru my store & all digi platforms. After the Jewish cemetery where my grandparents are buried was vandalized, I wrote this piece to honor my grandmother’s life and address the vandals directly for their cowardly act. On this striking collection of ten new originals, Klein’s incisive lyrics address living in uncertain times and the resilience that carries us through. Songs like “New Thanksgiving Feast”, “Tougher than I Seem”, and “Kid” look through the lens of a world-traveler and granddaughter of Russian Jewish immigrants, to celebrate the human capacity for healing and redemption during dark times. Guest vocalists include Gaelynn Lea and Jonathan Byrd. Simonsen and Canova’s deft production calls on influences including Motown, Classic Rock, Tropicalia and 70's folk and creates a stirring backdrop to Klein’s passionate mezzo soprano on this timely and powerful album. Back to My Green will be released everywhere in early 2019. Jess's 2015 Live Album featuring some of Austin's top players! This album captures the Austin album launch party for Jess's studio album Learning Faith and features all the tracks from LF plus a few fan faves from previous albums. Recorded at the now defunct Strange Brew, Bootleg captures Jess's passionate live performance energy backed by a dynamic group of musicians! Thank You Ireland and UK Fans! Many of you know that my dad passed away in 2011 from ALS. We hadn't always had the best relationship; to be blunt, my dad was often pretty self-centered. We could sometimes have good conversations but I would see him shrink away in fear when, as a child I would come to him upset or in tears. but the words they are forming. I am powerful. I have gone from avoiding the news to being able (usually) to hear it as a painful reminder shouted through a bullhorn. It screams, "this world needs love and healing!". Guess what I'm good at? Love. I'm good at giving love. THANKS TO EVERYONE FOR A GREAT EUROPEAN/UK TOUR! In 2015 I made the decision to start building a second career. I wanted find a new way to use the unique skill set that I’ve acquired in my life as a professional musician - connecting with people in a genuine way, giving what I have with all my heart. I attended a workshop at Life Coach Austin and was so excited by the personal growth I witnessed in myself and the other attendees that I decided to get certified as a Life Coach. During my training I learned tools to help myself and others figure out just what it is that we want to achieve in this life, and then how to get there. It's great stuff: I feel more empowered onstage and off, more at peace with myself, and better able to navigate life's challenges. Life coaching differs from traditional therapy in its starting point: it assumes there is nothing wrong with the client. In other words, you’re not a patient and I’m not a doctor. I am a fellow person who has acquired some effective tools and wants to share those tools with you. I want to stand with you as you learn new ways of approaching old patterns, as you transform your perspective and your life. Are you feeling stuck? Do you need gentle but direct assistance identifying and taking the next step in your relationship or career? Maybe you are unable to communicate with a partner or family member, having trouble standing up for yourself at work, pushing people away with anger issues, feeling generally unmotivated, or even just living with an empty feeling of "I don't know if anything I do matters." My goal is to help you fully embrace life and relationships. Any issue that gets in the way of that is a good starting place for working with me. Working with a life coach is about taking responsibility for yourself and letting go of what you can't control. The tremendous reward is your own heart, open to yourself and to the world around you. My rate is $75/one hour session, with a sliding scale available for musicians and artists. The number of sessions is up to you. Many people find that four sessions are enough to experience a freeing change in perspective. I meet with Triangle, NC area clients in person, and can also meet with clients anywhere in the world over Skype! Please contact me through the form below to set up a free initial 15 minute phone consultation. to set up a *free initial 15 minute phone consultation*, please fill out the form below. Are you just getting into performing live and feeling a bit intimidated by the audience? Have you been onstage forever but feel unable to relax and enjoy it? Do you get distracted by worries about how you are coming across or stumble with how to talk to an audience? Or feel like your brain is disconnected from your body whenever you get onstage? I have been performing all over the world for 20 years. I struggled for a long time with feeling like myself onstage. After studying acting and studying with a performance coach myself for several years, I learned some proven, powerful techniques to make the stage mine so I can authentically connect with myself, my music, the audience at every show. I want to help you do the same! I work on a sliding scale for artists and musicians. Please contact me to set up a free 15 minute phone consultation! 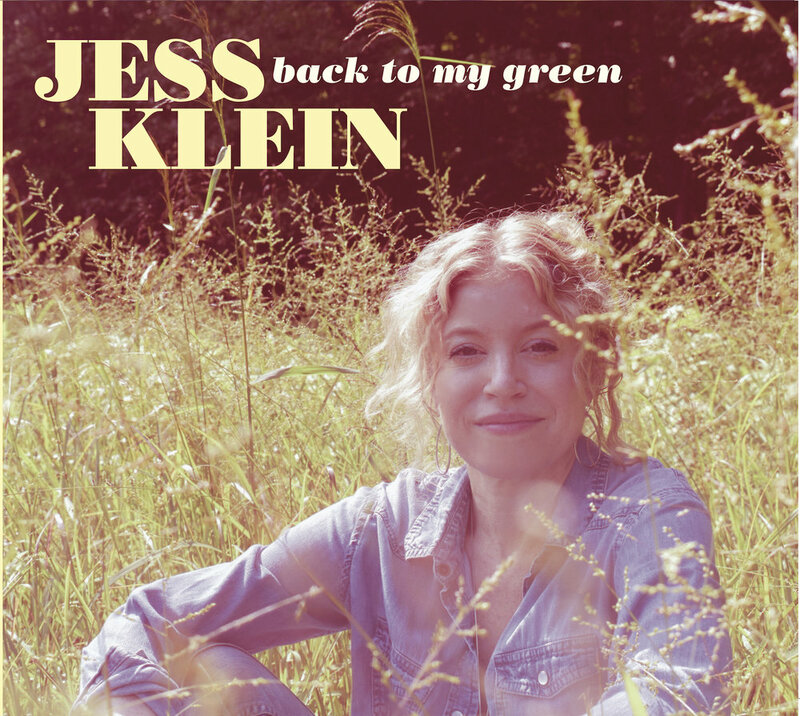 The New York Times calls Jess Klein “A songwriter with a voice of unblinking tenacity.” Over two decades and 11 albums, Klein has built a powerfully personal body of work that reflects an instinctive emotional insight, an organic sense of introspection and an unshakable social conscience. Her newest release, Back to My Green explores what it means to maintain hopefulness in America in 2019. It also reflects a bevy of changes in Klein’s personal life, including a new marriage to fellow songwriter Mike June and a cross-country move from the “Live Music Capital” of Austin, TX to rural North Carolina. Klein released three albums with former indie giant Rykodisc (2000-2005) which launched her career around the world. She has since toured the U.S., UK, Europe and Japan on her own and with such artists as Arlo Guthrie, John Fullbright, Damien Dempsey, and Carlene Carter. Her 2014 release, Learning Faith was described by Folk Radio UK as "Unquestionably the finest album of her impressive career." Klein spent eight years soaking up the live music culture of Austin, TX before a 2016 move to tiny but vibrant Hillsborough, North Carolina. Following the cross-country move, Jess joined forces with Producer Mark Simonsen (The Old Ceremony, Weems/Gerrard Band) and Engineer Thom Canova (Amy Ray, 4 Non-Blondes, Oranj Symphonette) at StudioM in Durham, North Carolina to record a new album entitled Back to My Green. Back to My Green finds Klein delivering a deeply felt set of original tunes that embody the same intensity that made her prior releases so powerful, while adding a playful sensibility that reflects the inspiration of her new surroundings. Such new compositions as "In Dreams," "Tougher Than I Seem" and "Mammal," evoke 60’s era MoTown while "Blair Mountain" and "New Thanksgiving Feast" (a tribute to Native American pipeline protestors) reflect Klein’s folk/country roots. All resonate with feeling, reflecting the internal and external changes that have influenced Klein's current batch of compositions. One unexpected change in Klein's creative life was a physical one that forced Klein to retool her songwriting process. "In early 2017," she explains, "I developed a Repetitive Strain Injury that made it painful for me to play guitar or to write or type for long periods of time. That was terrifying for me. I felt overwhelmed with fear of what the election was gonna bring, and now, the one way I was used to channeling my emotions into something positive had become physically painful. I had to learn to write music differently, to run with melodies in my mind and not rely on the guitar to dictate the chord changes. I had to trust my imagination and trust the musicians around me to execute what I was hearing. In the end it led me to a much bigger and more collaborative sound." "It felt like the more confident I got, the bigger my ideas got all around," Klein notes. "I became determined to write songs about being strong and resilient and finding hope and healing. It can be scary to say those things in dark times. But it's not naive. It's powerful. Positivity is still a powerful choice."